This event finished on 09 June 2017. “Between the Bars” is a senior project exhibition, in collaboration with Cal Poly Sociology Professor Dr. Unique Shaw-Smith. Featuring artwork produced by incarcerated artists, the goal is to undo negative stereotypes and to empower the rehabilitation of incarcerated artists individually and collectively through art.The exhibit demonstrates that rehabilitation does occur in prison and emphasizes that art has the power to transcend all social differences and divisions. The exhibit features more than 60 works in diverse mediums including sculpture, painting, and poetry by 34 incarcerated artists from California Men’s Colony. 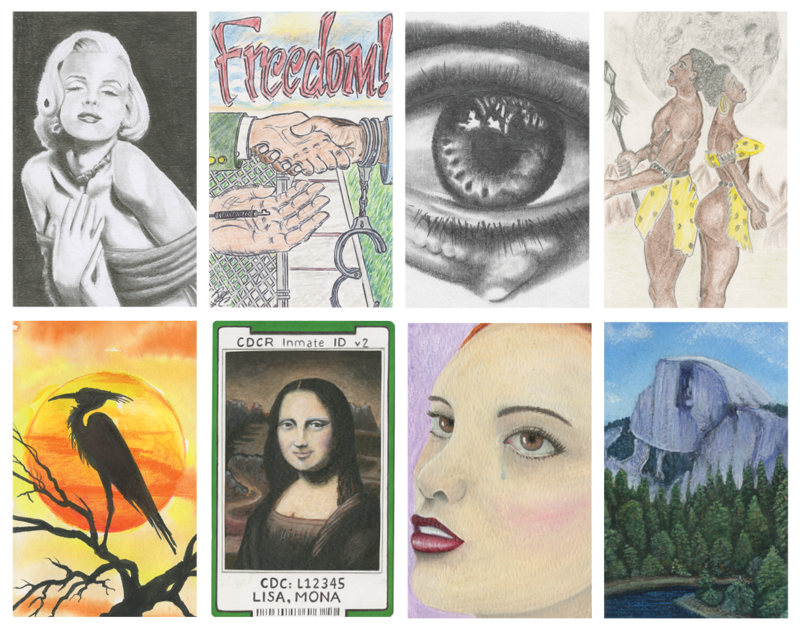 Artwork by incarcerated artists from the California Men’s Colony. April 11, 4:00 p.m. to 5:30 p.m.
A roundtable discussion with project collaborators speaking about their experiences working with the incarcerated artists from the California Men’s Colony. TGI Thursday! It's 4:42am right now.